Take a Network Break! Google targets hybrid cloud with Managed Itsio and GKE On Prem, and then goes after the edge with a new machine learning-friendly ASIC called Edge TPU. 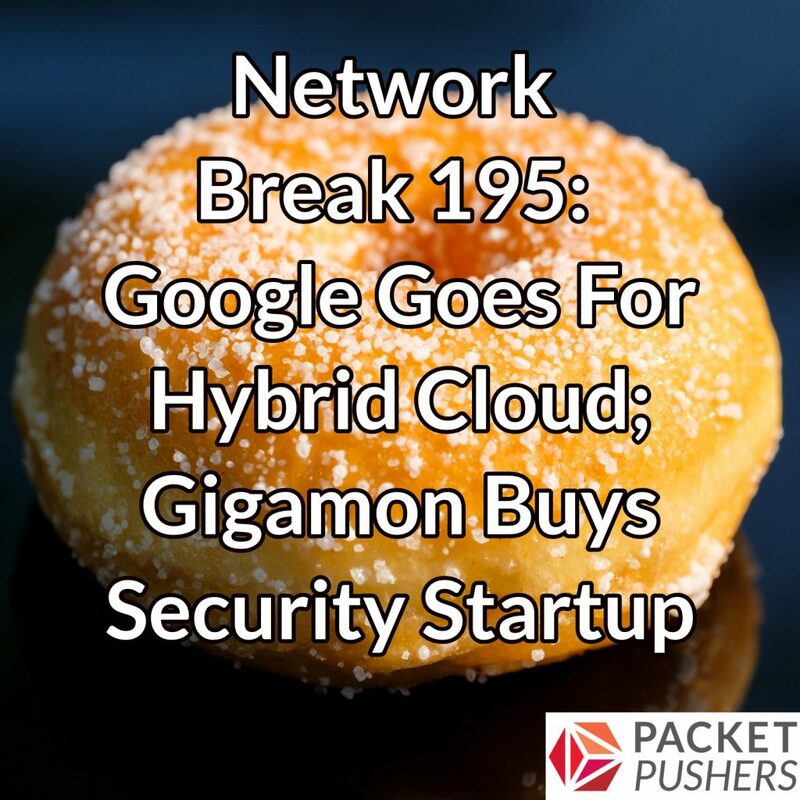 The Chrome browser gets serious about TLS, Qualcomm walks away from its NXP bid, Gigamon acquires Icebrg, and Atlassian agrees to sell HipChat to Slack. Juniper and Intel announces their second-quarter earnings, and Infinera spends $430 million to buy Coriant. InterOptic offers high-performance, high-quality optics at a fraction of the cost. If you’re not doing optics correctly, you’re going to pay for it upfront (and then later too). Don’t be fooled by lesser optics. The difference between generic third-party and brand-equivalent optics matters. The Packet Pushers have launched a brand new membership site called Ignition. Ignition offers free and premium memberships and hosts exclusive content for subscribers, including videos, reports, blogs, and more. Check it out at ignition.packetpushers.net.